In listening to this release, I was particularly struck by the skillfulness with which Clark’s poetry has been set to music. 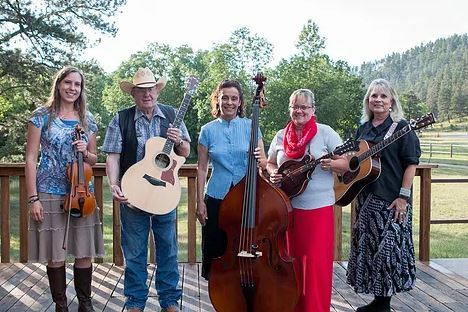 Creating songs using classic Cowboy verse is one of those classic slippery slopes, but Pegie Douglas just artfully skates along it! The tracks here are perfectly thought through and well executed. 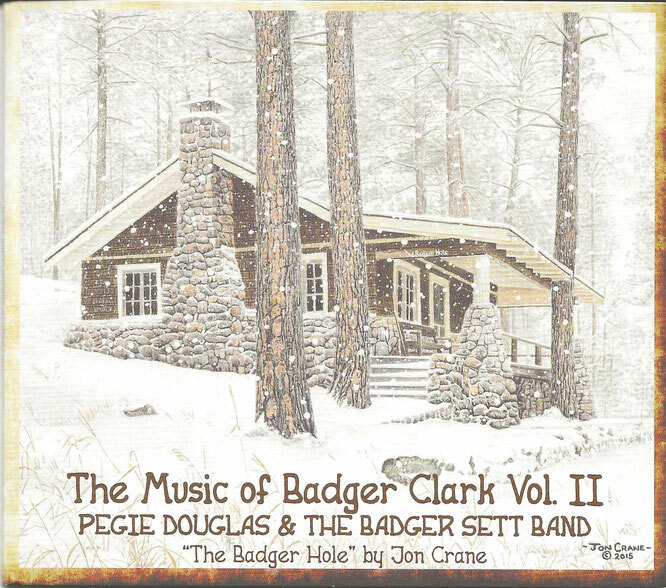 Now there are more successful Badger Clark-based songs from which to choose than just “Spanish Is The Lovin’ Tongue!” And remember this is “Volume Two,” too!! The poems used here were drawn from the Clark collections “Sun & Saddle Leather,” “Skylines & Woodsmoke” and “Cowboy Poetry: Classic Poems & Prose by Badger Clark.” South Dakotan Douglas obviously created these works as a labor of love to fellow South Dakotan Clark who, incidentally, was that state’s first Poet Laureate. Some are mixes of song and recitation nicely rendered by Ned Westphall. In addition to him and Ms. Douglas (lead vocals & guitar), other members of the Badger Sett band (they do “sets” of Badger’s music…get it?) are Cheryl Janssens (bass), Marcia Kenobbie (lead/harmony vocals & mandolin) and Katie Lautenschlager (violin).